Welcome to the second edition of Hearts Linked by Courage, featuring real-life stories of immense challenge, triumph, and hope, from the Canadian Mental Health Association York Region and South Simcoe. Much gratitude goes to CMHA and their story contributors for helping us to keep the conversation and hope alive, in part through this series. The purpose of this book is simple. It is to encourage compassion and kindness in others, and to look beyond what you see or hear. Everyone has a story, many actually like the ones in this book, and also like the ones that are not in this book, because we're not quite ready to share and embrace the pain associated with those experiences. When we are ready though, we will always have a choice, and there are many ways to heal. Sharing your story is one way, because it helps another know they're not alone ... and perhaps it reassures us too. 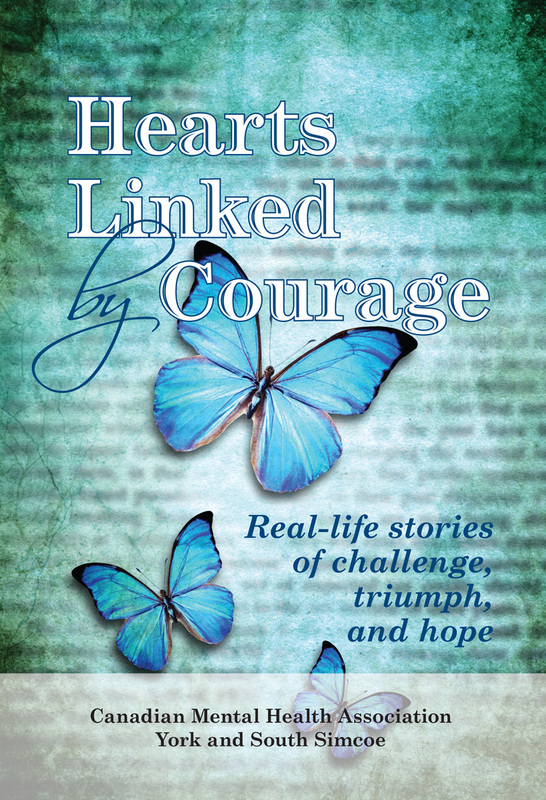 The Hearts Linked by Courage series is an amazing collection of heartfelt, inspirational accounts of courage, surviving, and thriving after abuse, the loss of a loved one and more! They're meant to give you hope and encouragement that inspires you to have faith, learn from your experiences, and be present and thankful every day regardless of what life throws at you. And when you're in the depths of the "going through" phase, let these stories be a reminder there are better days ahead and there are many people who truly care. Click here for the third book in the series.